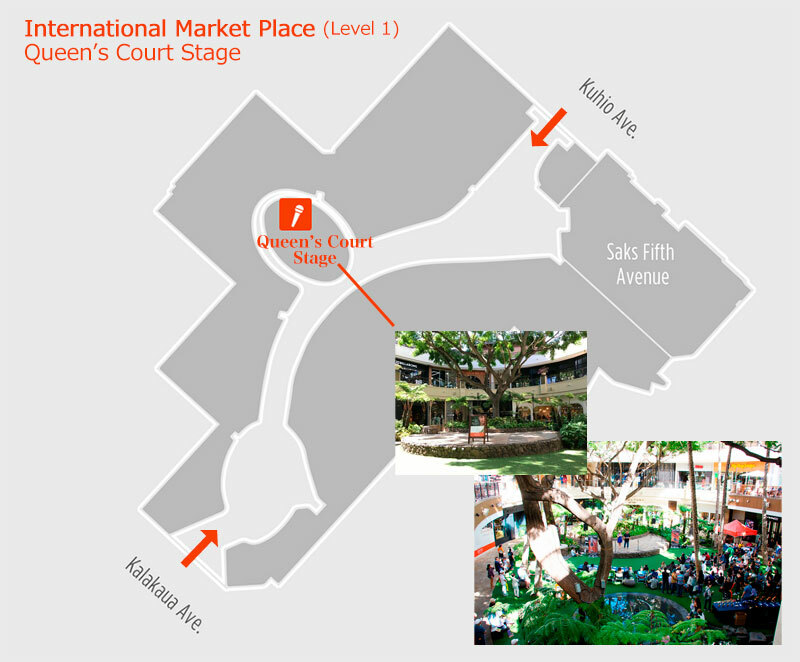 The International ‘Ukulele Contest is the only ‘ukulele competition in Hawai‘i where amateur musicians from all over the world come together to compete. The event’s goal is to encourage, educate and develop skills among musicians, especially youth. The hula show following to the Contest is an opportunity to further the exchange and friendship between Japan and Hawai‘i featuring performances by hula students from Japan and professional dancers in Hawai‘i. 4) Group: Open to groups of two or more, up to a maximum number of 10 performers. Must have one ‘ukulele player in group of two to five, and three or more ‘ukulele players in groups of six or more. *Multiple entries are not allowed. *Anybody can enter the contest by uploading an unedited video on YouTube and submitting an entry form. Grand Champion will be chosen among all 1st place winners from all 4 categories and receive a $500 USD Scholarship (presented by Ukulele Foundation of Hawai’i) and $500 USD worth of gift certificate. 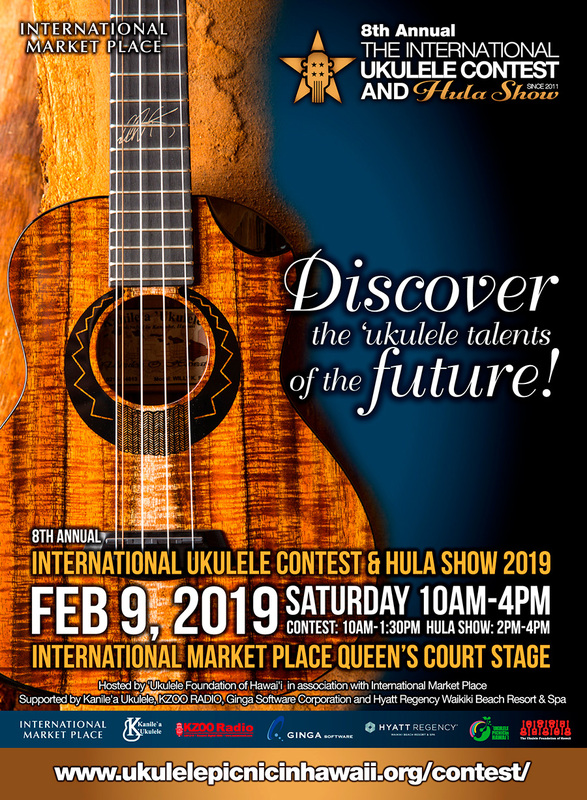 The opportunity to perform live at 11th Annual ‘Ukulele Picnic in Hawai‘i on February 10, 2019. One (1) winner will be selected from all finalists. The opportunity to have your original song broadcasted on KZOO Radio for 12 months starting in February 2019. 1st place for each division will receive fine ‘ukulele from Kanilea. 2nd and 3rd place will receive honorable mention prizes. Every finalist will receive a small gift. Given to only one (1) contestant from among all qualified finalists for his/her use and mastery of Hawaiian mele (song) in Hawaiian language during performances.